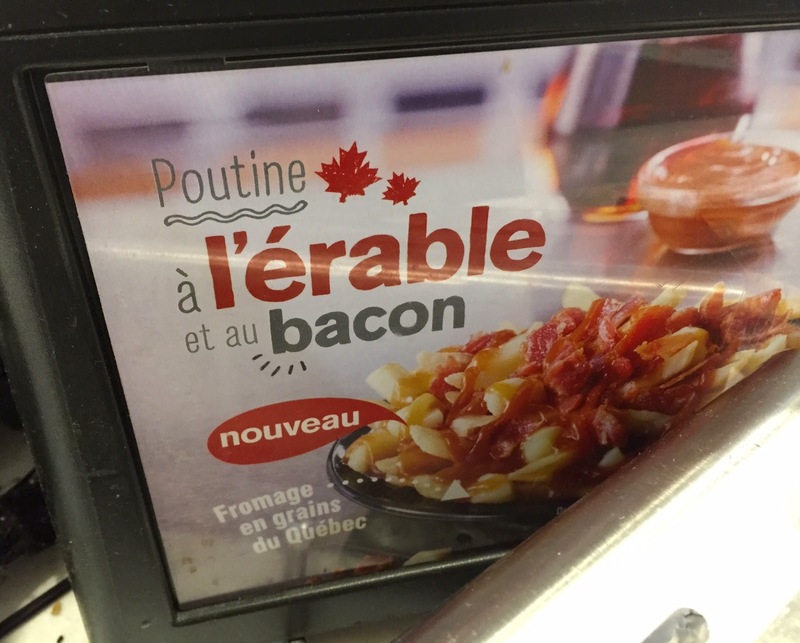 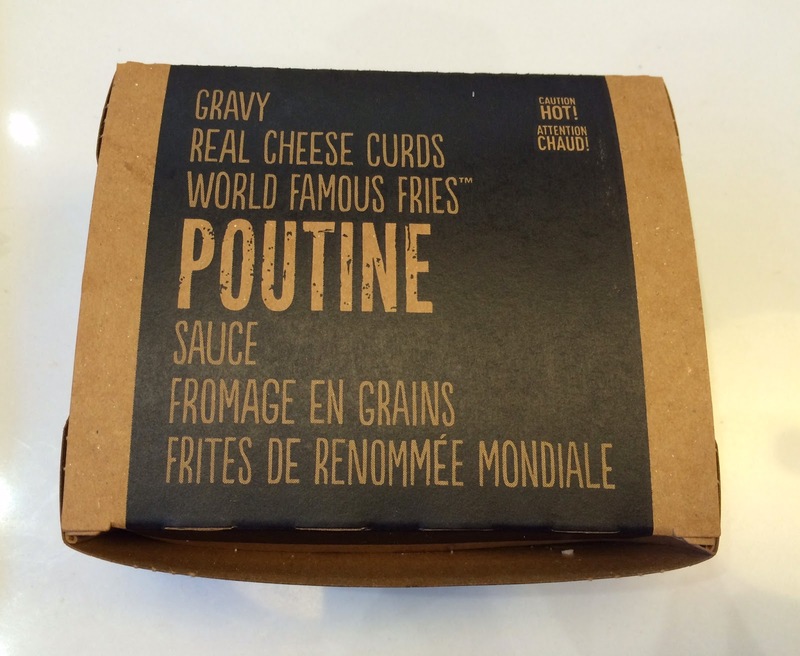 My husband told me that he saw a new poutine at McDonald's in May while I was in Japan, and yesterday, I got to try it when we flew in Montreal. 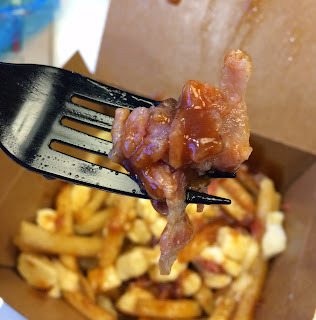 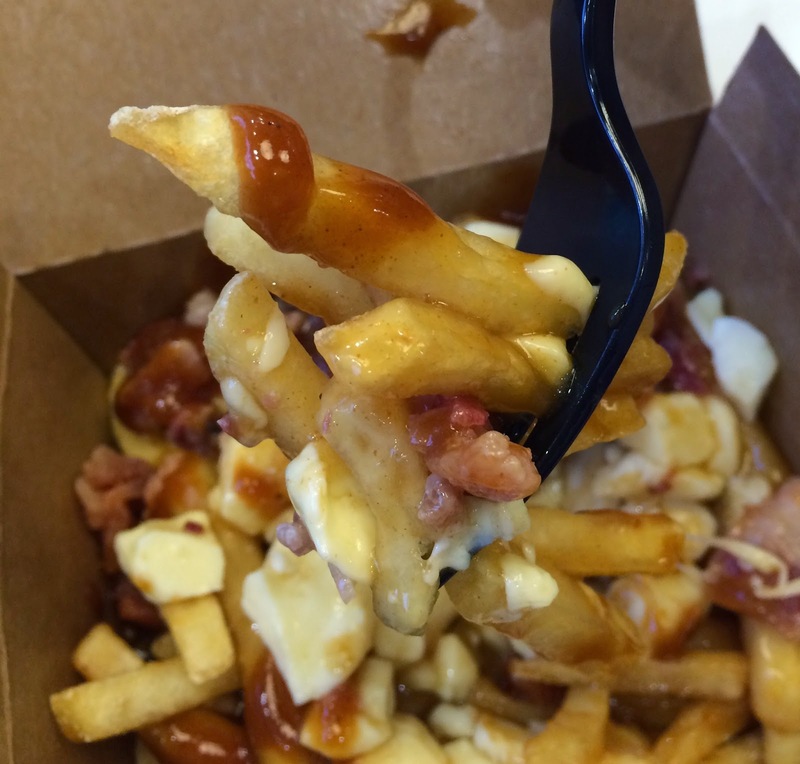 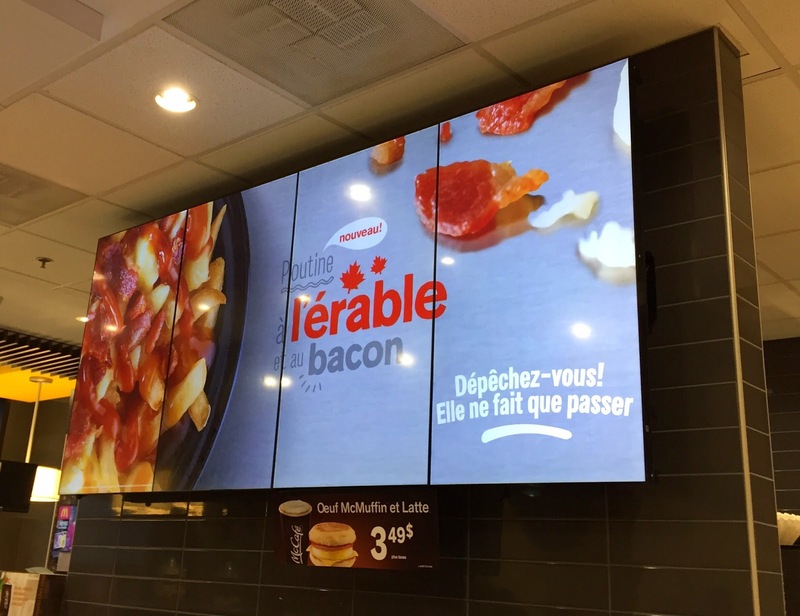 It's called "Poutine À L’érable Et Au Bacon" in French, and it's Maple & Bacon Poutine. It's in a paper box like Poutine Au Poulet Buffalo Épicé / Buffalo Chicken Poutine. Served perfectly golden, smothers in hot gravy and topped with real cheese curds, of course you'll want Poutine with that! There're skinny pale golden fries with drizzled sauce and small chunks of cheese curds. 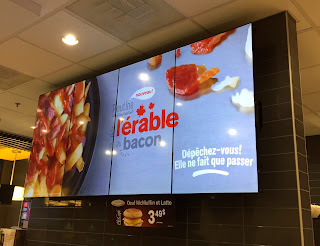 I thought they'd put crispy bacon bits but the bacons seemed just little soft pieces. 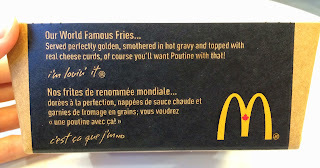 Fries were lightly salted and they're regular fries they serve so that they're not thick but slim. 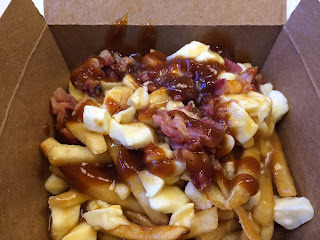 The gravy sauce tasted like BBQ and it had sweet and subtle tangy sourness. 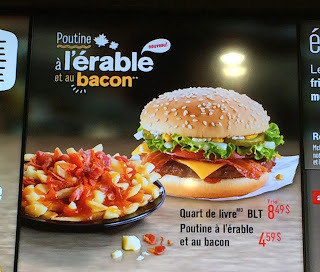 I tasted sweet maple flavor in the end, and also either the sauce or bacons had smoky scent. Bacons were soft as they looked and they're flavorful without any odor. 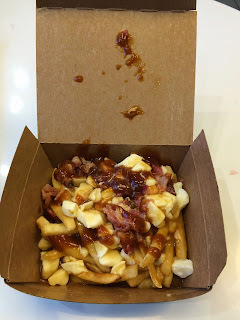 Small cheese curds might have be softened by the heat of the hot fries and they didn't have much squeakiness. 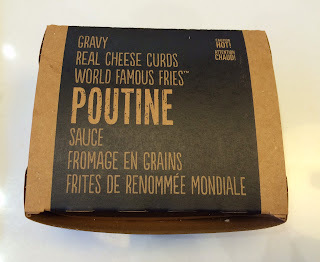 It's not a gravy sauce but BBQ sauce, but it wasn't bad.